Exclusive: Could Amber Heard and Christopher Walken Be Performing at Next Year’s Oscars? 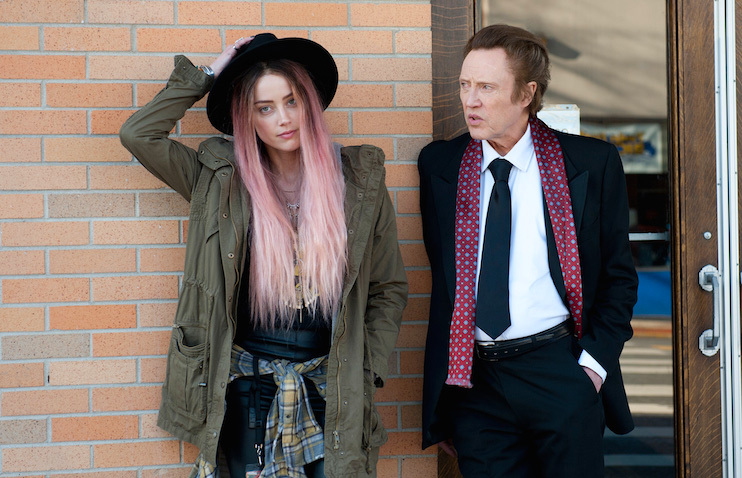 Exclusive: Could Amber Heard and Christopher Walken Be Performing at Next Year's Oscars? Christopher Walken and Amber Heard are showing off their impressive vocals in writer-director Robert Edwards’ “When I Live My Life Over Again,” a father-daughter musical drama screening at the Tribeca Film Festival. Singing on screen is nothing new for the multi-talented Walken, but Heard has never lent her vocals to a project before and she makes quite an accomplished debut. Could the two end up performing at next year’s Oscars if the film and songs catch fire? It’s definitely a possibility. The drama centers on cash-strapped Jude (Heard) as she heads to the home of her father (Walken), an over-the-hill crooner desperately charting his musical comeback. After several days, she soon recalls that spending time at home with her father presents its own particular set of challenges. The original songs in the film are written by Edwards and composed by Joe McGinty, best known as the keyboardist for The Psychedelic Furs.